This "little" unit packs a punch, reduced depth means it will fit almost any vehicle and it's full of features. The Pioneer MVH-X380BT proves that the best things do come in small packages. More music, more Bluetooth. The new, short chassis MVH-X380BT is designed to stream music from your Bluetooth devices in crystal clear audio quality thanks to the Advanced Sound Retriever for Bluetooth. You need the below active harness adapter. 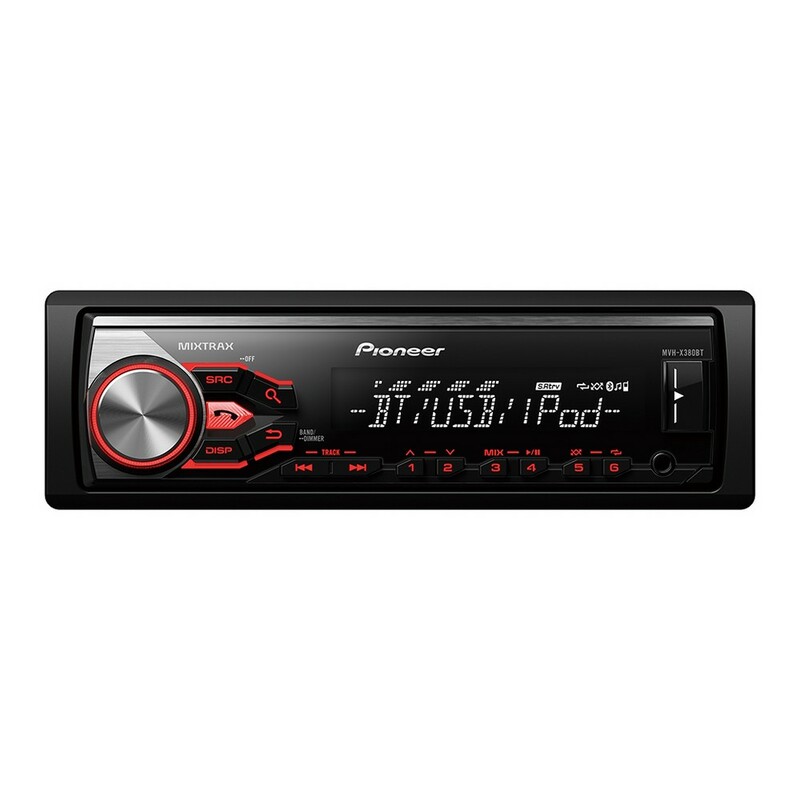 as from 2010 all new stereo`s have discontinued to use of cd changers. 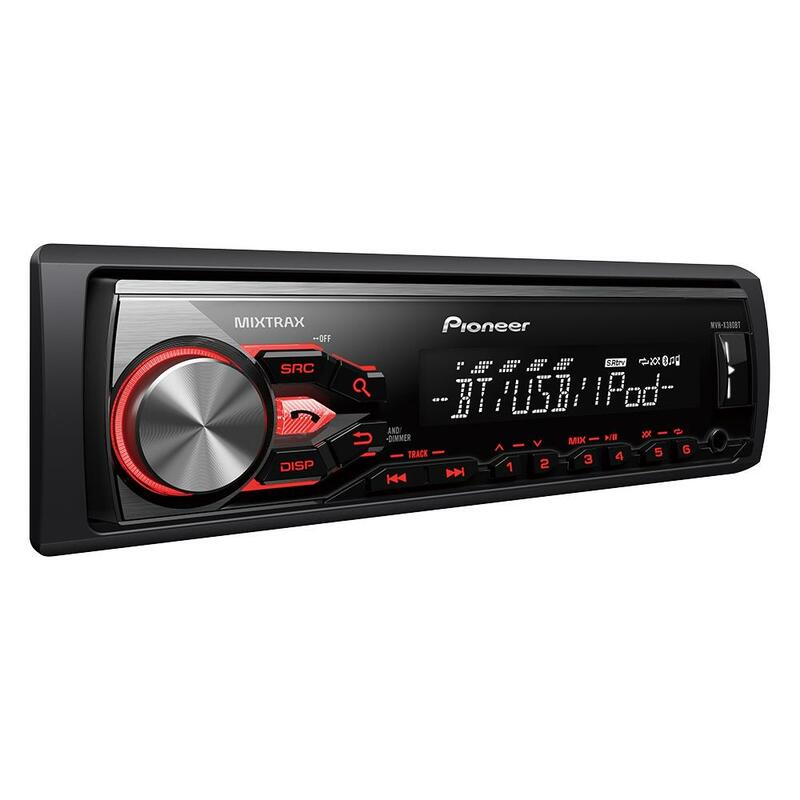 How ever this stereo will fit in your car or you could remove both units and fit a double din stereo/dvd . Hi there, can you tell me what extra bits I'll need to fit this in my 2006 nissan x-trail ? Thanks for your question, your fitting parts depend on which factory unit you are replacing. 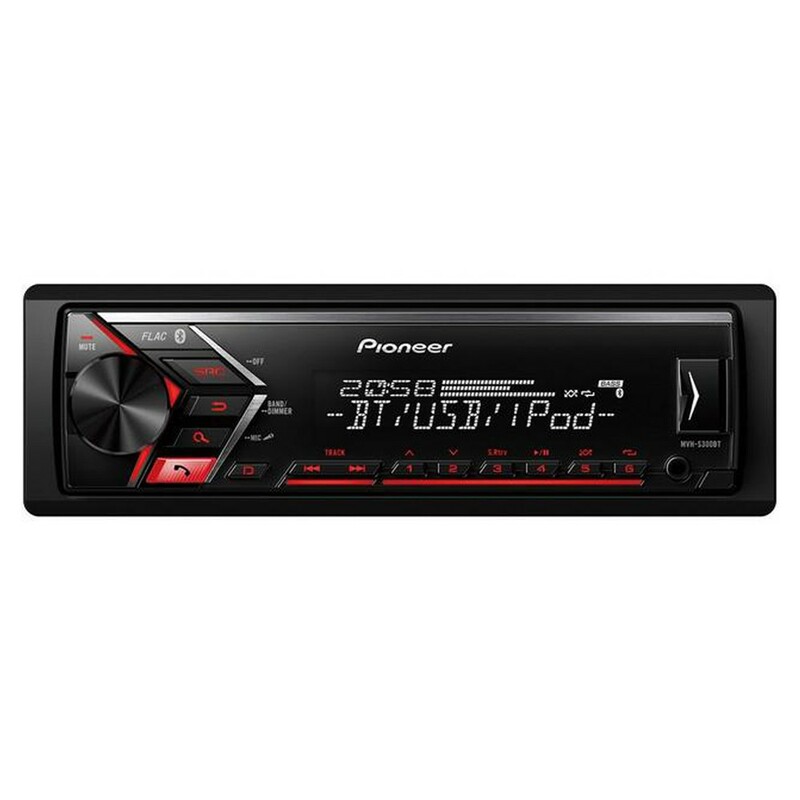 will this stereo fit into a vw polo 2011 and will i need any other bits to have this fitted? To fit the MVH-X380BT to your polo You will require the following fitting kit. Hi, Will this fit in my s2000, I am planning on fitting some gauges in place of the radio but if i can find a radio that is short enough it could sit behind. The MVH-X380BT can be installed in your Honda S2000. YOu will need the following steering control interface. thanks for your question,yes this unit can be fitted. To fit the MVH-X380BT we have suggested some parts below. Hi. Is it possible to add something to this radio to make it DAB? Thanks. Will this go straight in replacing my standard VW head unit or will I need any adaptors? Hi will this fit in my car a Alfa Romeo 147. I have a Audi a4 cabriolet 2005. Will this fit in to this car? Given I have all the relevant wires and facia panel. I have the Audi concert stereo at the moment but not sure if its rear amplified? Hi Yes sure the MVHX380BT would fit your car with the relative parts. 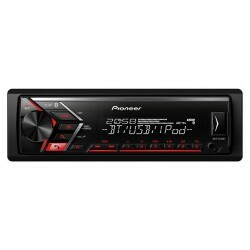 Will This stereo fit a 1998 W202 mercedes C CLass standard stereo? This can be installed in your Mercedes C class. You will need the below aerial adapter. Hi - Does this unit come with a mounting kit as we need to mount it in a tractor? hi there this unit comes with a factory supplied cage in order to house the unit in a single din sized aperture.